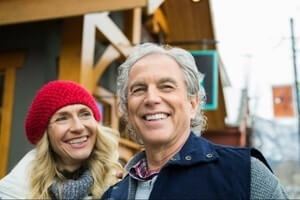 There’s no shortage of misconceptions about online dating, especially when it comes to middle-aged singles looking to make a connection online. Allow us to clear up some of these falsehoods, and - hopefully – put your mind at ease and get you on the path to finding that special somebody. Most people when they think of online dating picture someone in their mid-20s fresh out of college who’s tech-savvy and lives their life online. According to the Pew Research Center, some 15% of all Americans have reported using online dating sites or apps, and 12% of Americans aged 55-64 report having used online dating. This is double the digits from a 2013 poll, which indicates that people in their golden years have discovered something their kids learned a few years back – online dating works. This is especially true on OurTime​​, a dating site specifically geared towards users over the age of 50. With more than 1.4 million monthly users, this site alone makes it clear you’re not the only one out there. Most of us aren’t tech savvy, or at least not as much as we let on. Luckily, dating sites have never been easier to use, even if you rarely use your smartphone and have no clue what to do with Facebook or Twitter. Zoosk​ has a simple, straightforward sign-up process that will have you online and searching for matches in minutes. You know how it was back in the day – you got set up by a friend at work, or maybe a neighbor or a friend from your favorite bar. There was some mystery about those blind dates and a lot of anticipation heading up to the meeting. With online dating, while you get to control who you meet and learn a lot about them before the first date, there’s still plenty of room for romance and excitement. Will there be a spark? Will there be awkward silences? With online dating there’s a much bigger pool of potential mates, and you get to pick and choose who you meet and how. Still, anyone who’s gone on a date with someone they met online can tell you – you still get those butterflies in your stomach as you head to the restaurant. The sites themselves can be playful and flirty as well. Zoosk ​allows you to send virtual “gifts” to people who catch your eye, while on Match.com you can play 7 quick matchmaking games like “romantic rip off” and “name that dance” which are fun and carefree, and help you get to know somebody online and feel that flirty vibe you might be missing. There’s a logic to that, but the fact of the matter is that your potential companion’s family status does matter. Luckily, dating sites allow you to filter results based on the family status of potential suitors so you can limit your search to people whose home life will best suit yours. Besides familial status, you also want to know if the person also has the right lifestyle or ambition for you. EliteSingles​​ is targeted at busy professionals of all ages, and 82% of users have at least a bachelor’s degree. The site also boasts an extensive personality test that gives it a big advantage in trying to find the person just right for you. Sure, it may take about 20-30 minutes to fill out, but that’s a lot less time than you’d waste on a date with someone who just isn’t your type. 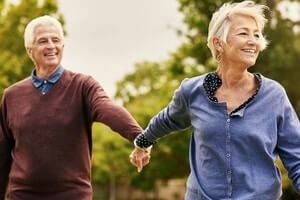 You’ve probably heard the stigma – “people dating in their 50s have so much baggage.” To be fair, by your 50s, you’ve been through a thing or two but there’s no reason to look at that as a negative. By your 50s, you’ve come into your own and know who you are. You’ve probably built a career, purchased a house, raised children, and built friendships that have lasted decades. You could call this baggage – or success. Once you get over the hurdle and decide to give online dating a shot, you’ll find no shortage of sites with flexible payment options and all types of search filters so you can narrow down the results and find somebody right for you. You’ll also find that more and more sites have people like you in mind. For instance eharmony, where 20% of the 33 million users are over 50. Take a look at our reviews of the top online dating sites around, and then take a spin and see for yourself how fun online dating can be. If you're ready to get started now, head over to OurTime​. Their easy-to-use features and messaging options make it a breeze to confidently jump into the dating pool.